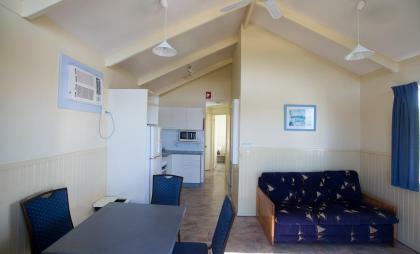 This 2-bedroom 1-bathroom cabin is positioned right on the southern edge of the park with level views of the ocean. 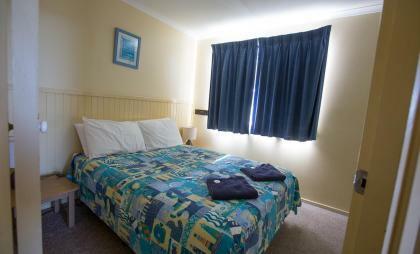 The master bedroom contains a double bed and the second bedroom contains a double bed with a single bunk over the top. 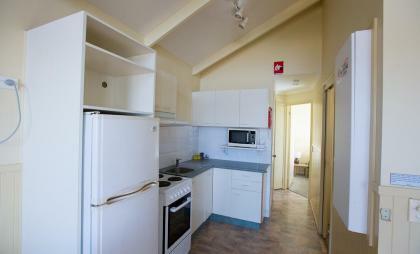 The kitchen is fully equipped and open plan to the cozy lounge/dining area. 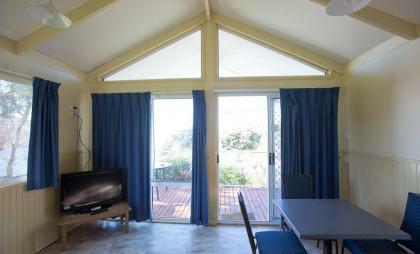 A 2 bedroom beach front cabin with great views of the sea and of Glass House Rocks. Fully self contained cabin which sleeps up to 5 people. 1 room has a double bed, the second has a bunk bed with a double on the bottom and single on the top. The bathroom and toilet are separate.